All items purchased will be sent to you via a tracked online UPS postage service, you will have the option to delay, change or have your item delivered to a work address if required. For high value items we can offer bespoke insurance for items such as watches and diamonds via Parcel pro which is a specialised department of UPS, please email for a quotation. For larger bespoke items our dedicated logistics team will contact you directly to arrange delivery. Overseas delivery: Please note if your delivery address is outside of the United Kingdom we will contact you after you have placed your order to let you know of any extra delivery costs that will apply. "James Auctioneers offer a diverse and interesting range of items to purchase together with a fantastic support and follow up service in arranging delivery at really competitive prices.
" have recently purchased another watch off James auctioneers and I have to say I don't know how they keep improving on an already great service. 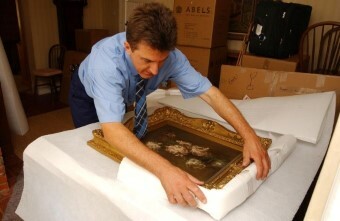 "I would love to put people off James auctioneers then I could get more things off them cheaper!! !’ In truth though they have some great items at great prices! I’ve bought at least 5 watches off them and their service is excellent.